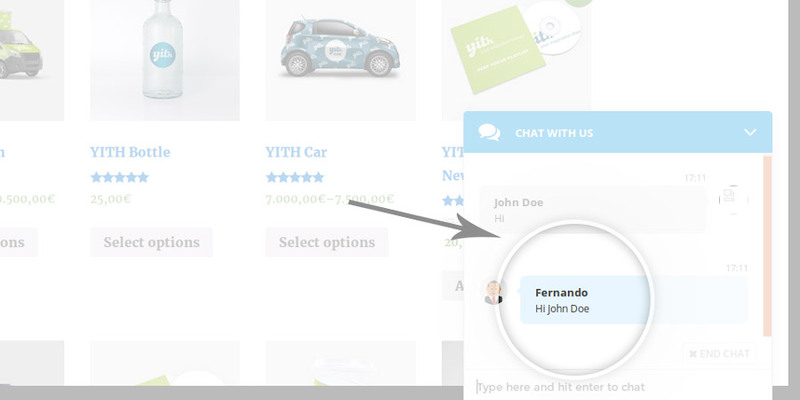 YITH Live Chat: Assign role "Live Chat Operator"
Every user who has been assigned the role “YITH Live Chat Operator” can access the chat console, except for the site admin, who is automatically enabled. 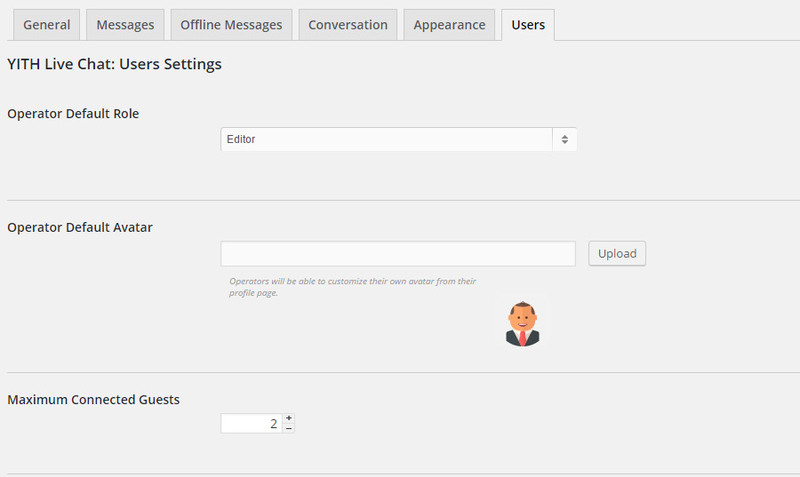 In the tab “users” you can configure general settings about chat operators. 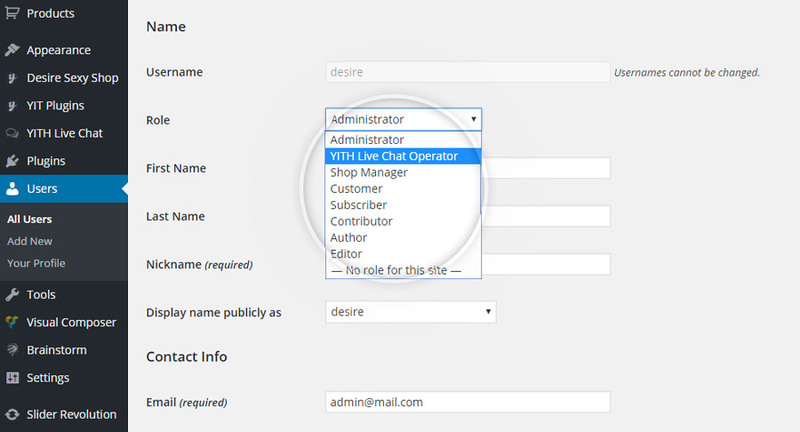 Operator Default Role: this option allows “YITH Live Chat Operator” users to have the same privileges of the assigned role once logged in the site. The “YITH Live Chat Operator” role must be set in the users’ profile. Operator Default Avatar: the default avatar for each operator. It can be modified from each user’s profile and changing the option of the “YITH Live Chat” section. Maximum Connected Guests: the maximum number of the possible conversations to held at the same time. The default value is 2, but it is possible to set manually the desired limit. If users try to access to the chat when it is impossible to start new conversations, they will see the “Busy Message” of the “Messages” section. 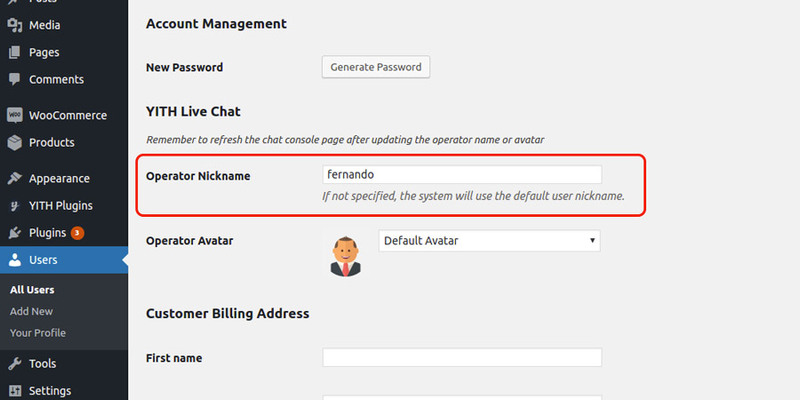 To edit the chat operator nickname, go to the user profile and insert the new name in the “Operator Nickname” entry.